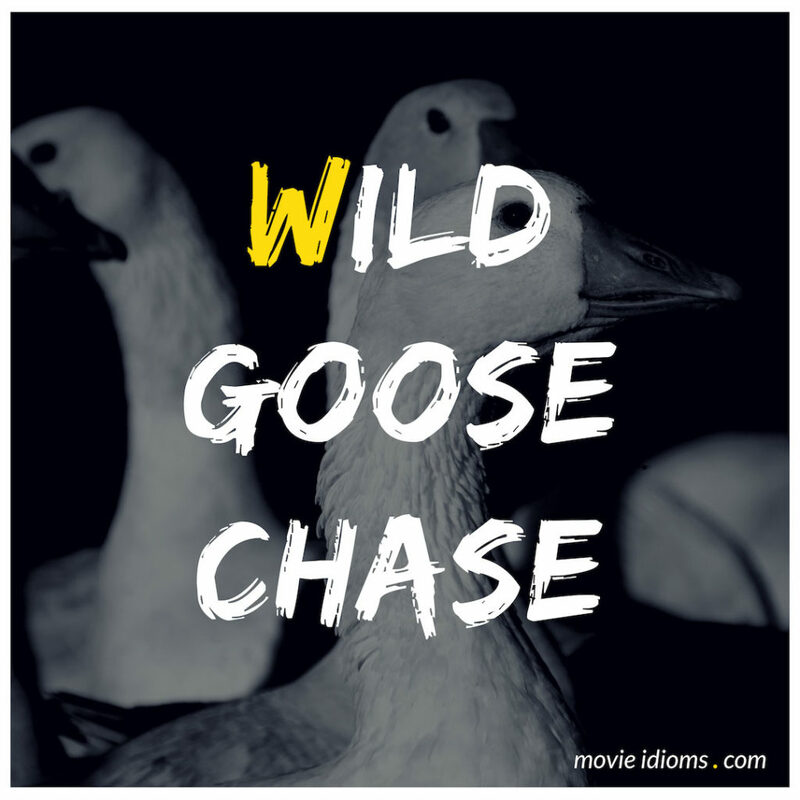 What does wild goose chase mean? Jack Monk: And he sends me on this wild goose chase. Son of… ‘scuse my language. Adrian Monk: It’s okay, we’re truckers. Dr. Ian Malcolm: Greenpeace? What drew you there? Nick Van Owen: Women. 80 percent female, Greenpeace. Dr. Ian Malcolm: That’s noble. Nick Van Owen: Yeah well, noble was last year. This year I’m getting paid. Hammond’s check cleared, or I wouldn’t be going on this wild goose chase. Dr. Ian Malcolm: Uhh, where you’re going is the only place in the world where the geese chase you! Rooster Cogburn: I’m a foolish old man who’s been drawn into a wild goose chase by a harpy in trouser and a nincompoop. Mr. LaBeouf, he can wonder the Choctaw Nation for as long as he likes. Perhaps the local In’jins will take him in and honor his jibberings by making him chief. You, sister, may go where you like. Our engagement is terminated. I bow out.